This is the best guide to read if you are starting poultry farming in Nigeria. My blog is filled with over 10 years of experience from running a poultry farm. I started this blog so that no one will ever extort new farmers and ask you to buy ebooks and pay for seminars for things I can easily tell you for free. All my articles are thoroughly researched and I give some free consultation too (over email). The aim of this poultry guide for beginners is to encourage and share handy tips and resources for that individual that has an interest in poultry farming in Nigeria or elsewhere whether as a hobby or as an Investment. This guide gives all the answers to those asking the “how to,” “where to” and “why to” questions about poultry. 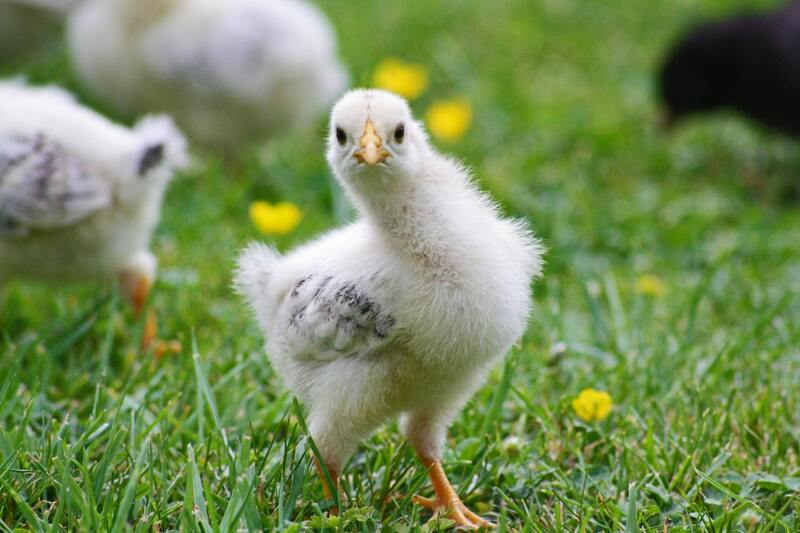 Basically, this is a beginner’s guide on everything you need to know about rearing poultry from buying day-old chicks to egg production in the case of layers or meat production in the case of broilers. I have reared poultry of all kinds successfully for years, and I am keen on sharing my knowledge and experience hoping it will answer all your questions and with my knowledge, you can turn your interest in poultry to your own pot of gold. Poultry keeping is both an art and science. It is the art of raising and rearing domestic birds of all kinds (chickens, ducks, turkeys and other fowl) for the purpose of meat, eggs and other byproducts derivable from poultry. So whether you are considering running a poultry farm as a hobby (backyard farming) or as an investment/business (intensive poultry farming,) the principles are the same. This post focuses on chickens since they are the most domesticated birds raised. However, it can be used to illustrate poultry management and you can apply it to all your questions on other types of poultry. This is where to start, poultry is capital intensive, but the rewards are worth it and I am going to show you how to ensure you get the rewards always in my blog. First, decide on the size of your farm – backyard farm, or will you be buying a piece of land for farming. Every farmer’s dream is to build a very big farm, but it’s important that you learn and grow towards a big farm. Most farmers start small by using the land they already own or using their backyards and it’s advisable you do the same unless you have a whole lot of capital to spend. Here’s an approximation for your poultry farming income if you are growing broilers. If you are doing 100 – 1,000 birds you need about 100,000 naira – 700,000 naira to raise them and your revenue will be within 200,000 naira – 3 million naira. If you are doing 1,000 – 3,000 birds you need about 800,000 naira – 2.5 million naira. I am sure you can already calculate the revenue you will earn on this and your profit. And the bigger your scale the larger your profit, and once you have your capital costs completed, you can use the structures and equipment for a long time. For new farmers, there are many places where you can rent this equipment. My typical advice is to start with a bit of your savings, typically within 10% – 30% of your savings (do not use all of your savings,) and when you truly understand the business and have demonstrable revenue then you can apply for a bank loan or overdraft. Handy tip: Start small and let financial success dictate your rate of expansion. Your location says everything about the success of your poultry. Poultry farms are best situated in rural settlements where the cost of land and labour is relatively cheap. However, keep in mind there must be a good transport/road network and access to water. It must also be easily accessible for you or the poultry farm manager (in other words, your farm should not be too far from you or whosoever will manage the daily affairs of the poultry. It should be your home away from home. This goes hand in hand: the breed of your poultry and its hatchery source. Depending on the type of chicken whether meat chicken such as broilers and cockerels or egg laying type (layers,) you must get a breed that maximizes the potentials of your desire from a very reputable hatchery that has a history of good service. It’s important to note that the quality of day-old chicks you get is the beginning foundation of raising healthy birds. So when buying day old chicks make sure you commit a lot of time into researching and asking questions about each hatchery you want to buy from and the breed of chicken before making a purchase. If you do this wrong, you have set yourself up for failure. Handy tip: Always ensure your birds after buying them to prevent stories that touch. There are different things you need to consider when building pens for your poultry. These things will inform the kind of housing system you will adopt for raising your healthy chickens. House systems are grouped as an intensive, semi-intensive or extensive system. For new farmers, you have to select a rearing system that suits your purpose/capital available. The extensive and semi-intensive system is majorly adopted by backyard farmers or farmers with access to large acres of lands where the birds can graze freely with good access to forage and sunlight. Poaching is a major disadvantage to this system and large scale farmers cannot win with this method. In the intensive system, birds are confined to battery cages or deep littered houses where ventilation and illumination must be factored into the construction of the housing system. The equipment used for rearing poultry is relative to the rearing and housing system adopted. Common equipment used are feeders, drinkers, heaters, brooders, cages, crates, et al with diverse types, brands and specifications all dependent on factors such as capital available, housing and rearing system. This is what I call “the Pareto principle of farming” – 80% of all your efforts, resources and time must go into this. You have done all that is necessary to come this far, and this now will become your daily work. You have to ensure your birds always have access to clean water on a daily basis. As my mother would say, Omi o gbodo je wan ni iya, which translate to, “they must never suffer for lack of water.” And this is especially through when it comes to laying birds. If they do not see water for an extended period of time their egg production would suffer for a long time which impacts your profitability. The same goes with feeding, you have to ensure your birds get good access to well-balanced ration feed that suits their production levels. Feeding and watering your poultry will be your biggest operational challenges, do not waste any second in not getting it right. I have written an article on poultry feeding (getting it right). Here, you will get knowledge on all you need to know on making well-balanced poultry feeds for a different type of chickens. Now is the time to call your vet doctor and in time, yes, you heard me right. There are routine medications and vaccinations that ensure the wellness of your birds to keep them safe from viruses, bacterial infections, pathogens and just in case, they catch an infectious disease. You critically need the advice and consultation of a very good vet doctor and do not forget general biosecurity as they say prevention is better than cure. I have seen very large poultry farms completely wiped out due to a disease or carelessness that could have been prevented especially in 2007/2008 when bird flu was prevalent in Nigeria. And when I go to the vet shop especially during the festive seasons I sometimes see small scale beginner farmers sad about the death of their chickens. These deaths could have been preventable if they had consulted with a vet doctor early on. It’s really important you do not joke with your poultry biosecurity. For more on poultry diseases and biosecurity, I have written a guide on all the medications, vaccines, and important biosecurity measures you need to raise healthy chickens. After all your diligence and hard work, you want some profit or satisfaction from your labour. This is where you dot all your ‘I’s and cross all your T’s. And as they say, before you embark on a journey, know your destinations. It is important you have concluded on how you want to sell your poultry produce knowing that they are perishable produce so storage and transportation are major factors to be considered. Daily records should be kept. These should include space to record mortality, age, feed consumption, water use, vaccination and medication done, daily egg production, and records of any management or disease problems. These records are very valuable in planning for future poultry projects, disease control programs, and making estimations and forecasts. In conclusion, poultry rearing whether as a hobby or as a business gives great pleasure, satisfaction and returns when done correctly. The big takeaway from this is to build your farm gradually, learn on the job, fix operational problems quickly, and keep proper records. I hope I have been able to answer most of your questions. I help people invest their money in plantain plantations by helping them to acquire cheap land they will own forever, farming for them, harvesting their crops, and selling for them. Basically, people that farm with me are like CEOs that hire the smartest people to grow their business, and they never need to worry. If you want to learn more, click here. just rounded up my NYSC programme and i would like to invest my savings into broiler poultry, i live in jos. Very informative article. Not shabby at all. Thank you so much and Weldon! !